I'm somewhat obsessed with savory bread puddings. 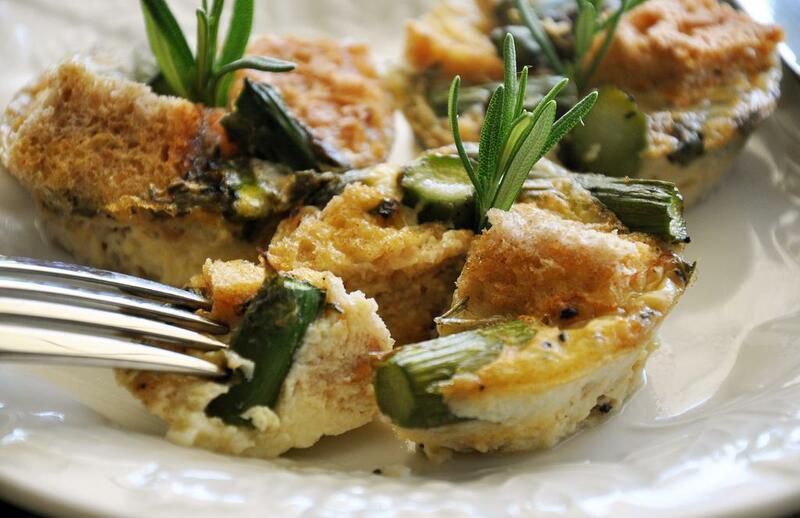 Those anything-is-possible eggy-bready-cheesey casseroles. I went a bit mad for them in 2008 - hence Tomato Bread Pudding, Summer Squash Bread Pudding and Pumpkin Apple Bread Pudding. I had a fun idea to make them bite-sized for snacks, breakfast on-the-go or as a side dish to a weekend brunch. 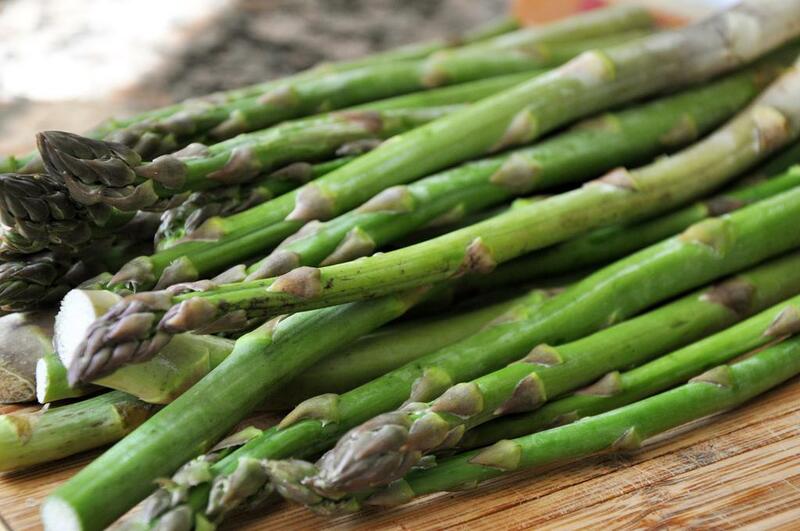 The asparagus was looking divine at the farmers market so I couldn't pass it up. Paired with Italian fontina and rosemary, these little guys are in the oven in less than 20 and in your mouth in less than 60! Meanwhile, heat grill or grill pan (or you can roast in the oven at 450 degrees). 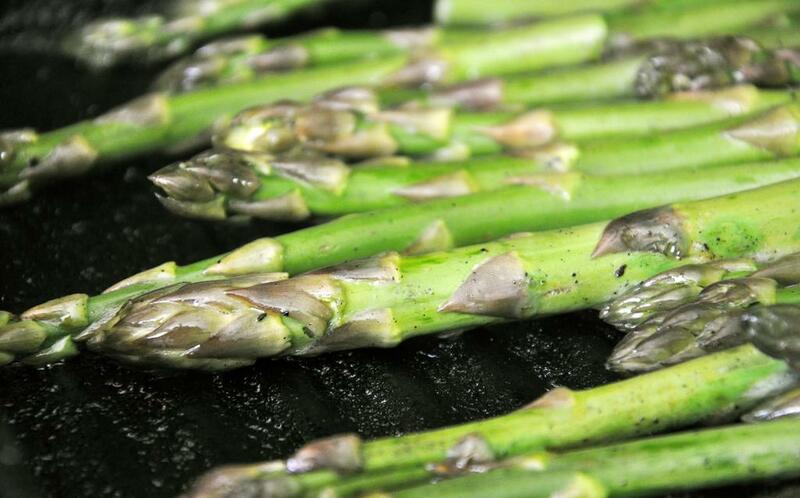 Brush asparagus with EVOO and grill 5-7 minutes, turning mid-way through. Remove from heat, let cool, and then cut into 1" pieces. 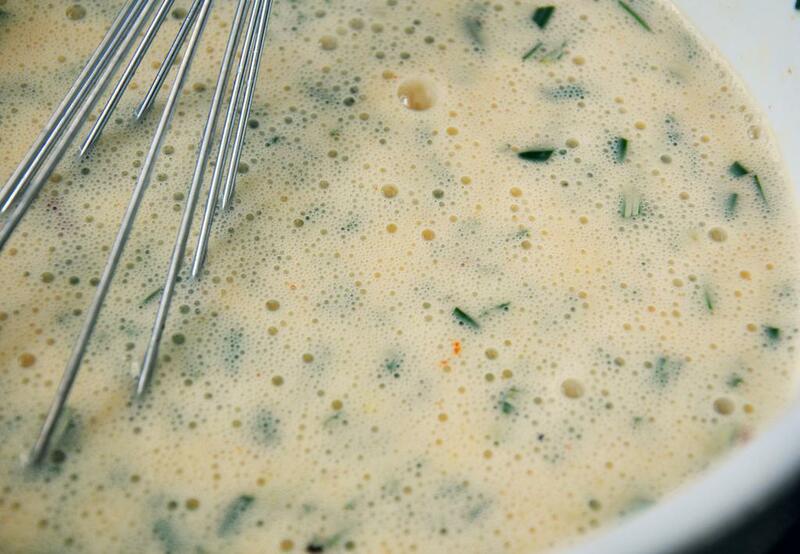 In a large bowl, whisk milk, eggs, SnP, cayenne and rosemary. Set aside. Set up a station of asparagus, cheese, egg custard and bread. 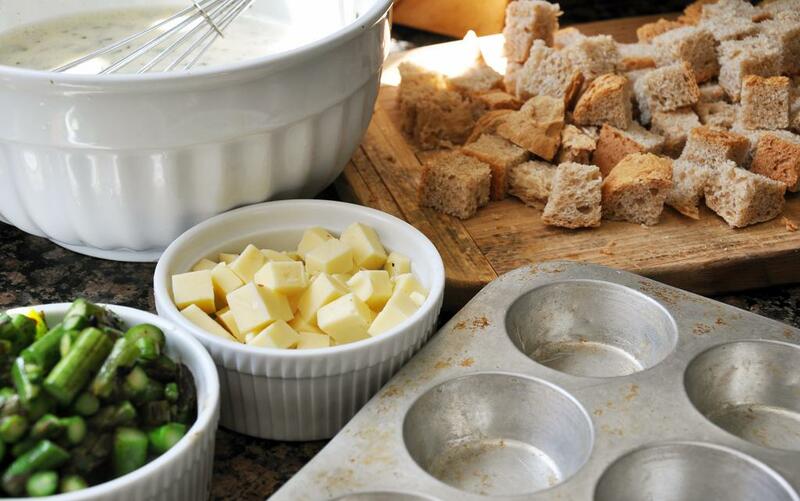 Spray a 12 cup muffin tin with cooking spray. Ladle egg custard into each cup, filling 3/4. 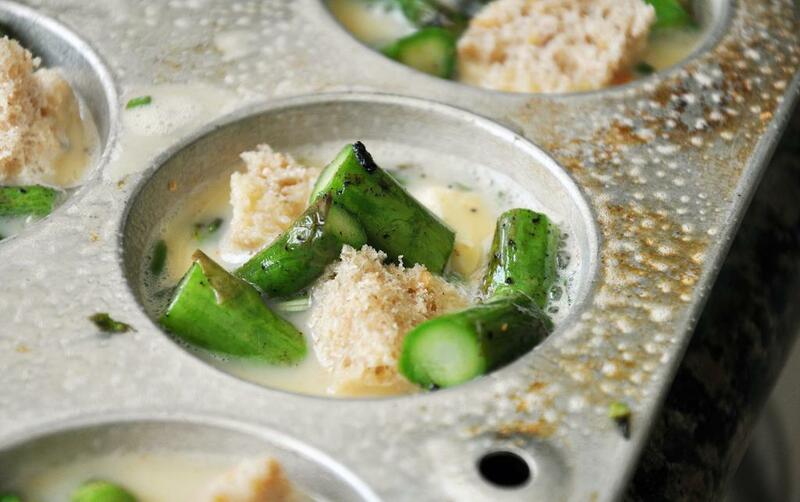 Add 2 bread cubes, 2-3 cheese cubes, and 5-8 pieces of asparagus into each cup. Bake for 25-30 minutes until egg custard is set. Remove from oven and let cool 10 minutes before removing. Run a knife around the cup and remove gently (you could also use cupcake papers to make this a breeze!) and serve immediately. Repeat with remaining ingredients.